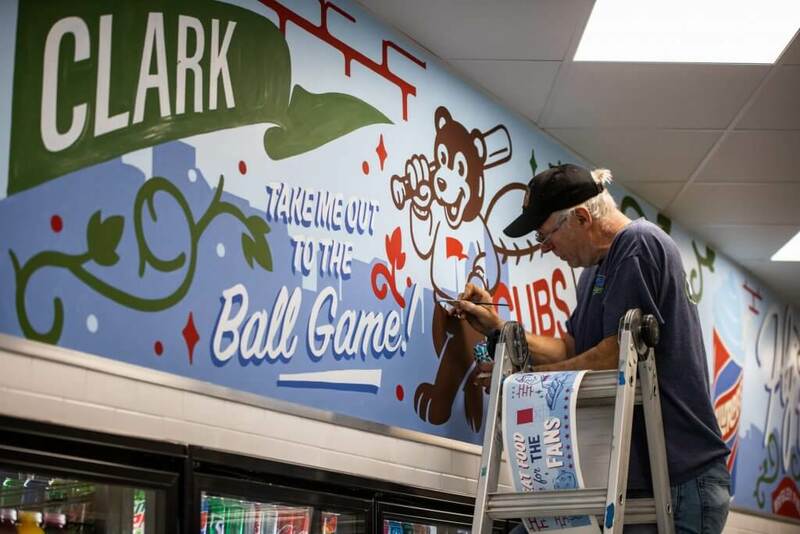 Work is underway at the new 7-Eleven stores in the Chicagoland neighborhood of Wrigleyville which is home of Wrigley Field and the Chicago Cubs. Right Way Signs of Chicago was selected to design and hand paint two custom murals for both stores that are on the same block, one on the Clark side and one on the Addison side. 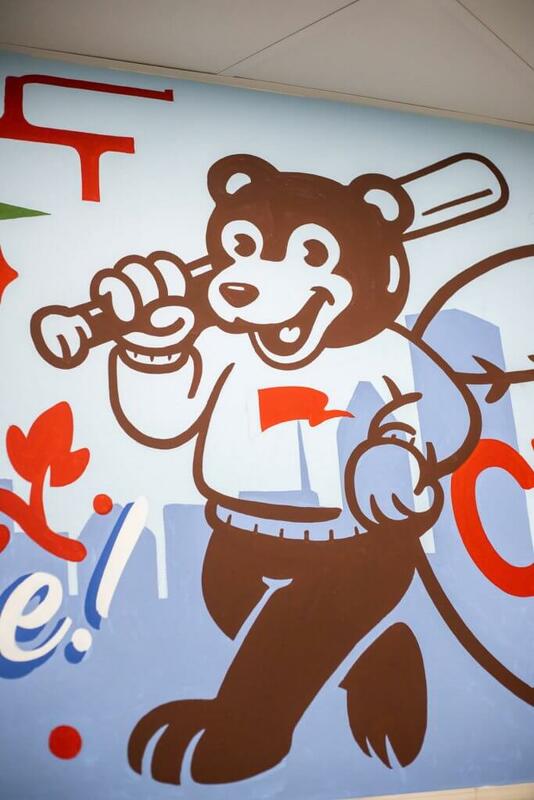 Each mural pays tribute to the Wrigleyville neighborhood, the Chicago Cubs and some vintage elements of 7-Eleven’s past. 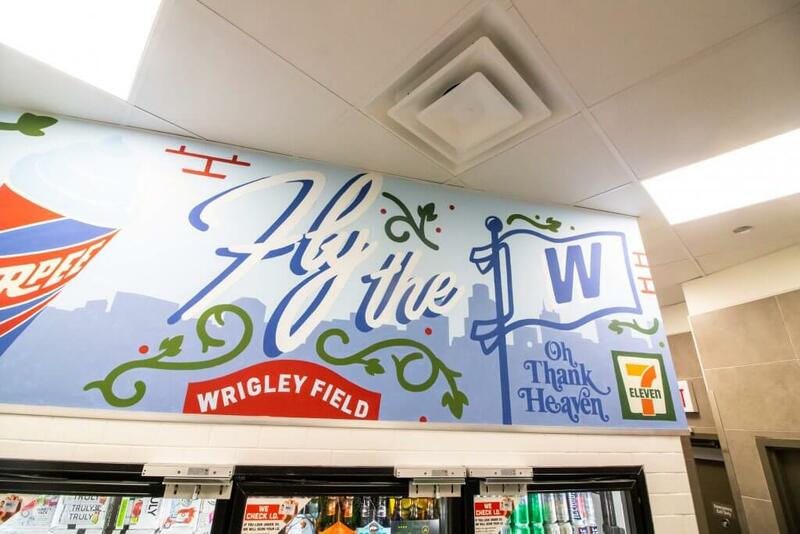 Each mural will have the same theme and some of the same elements such as the Wrigley Filed ivy, the famous 7-Eleven Slurpee, hand lettered typography and more. 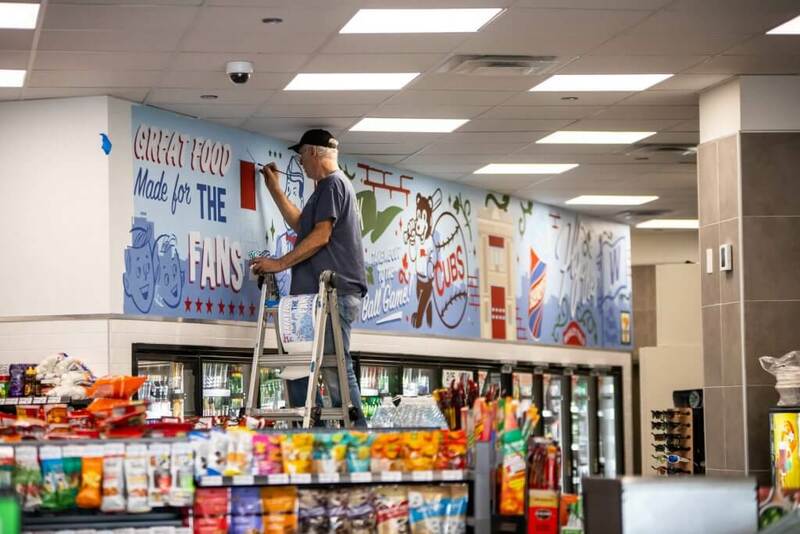 Lead Right Way Sign painter and mural artist Ches Perry is painting the murals each day with the goal to have north stores completed before opening day. 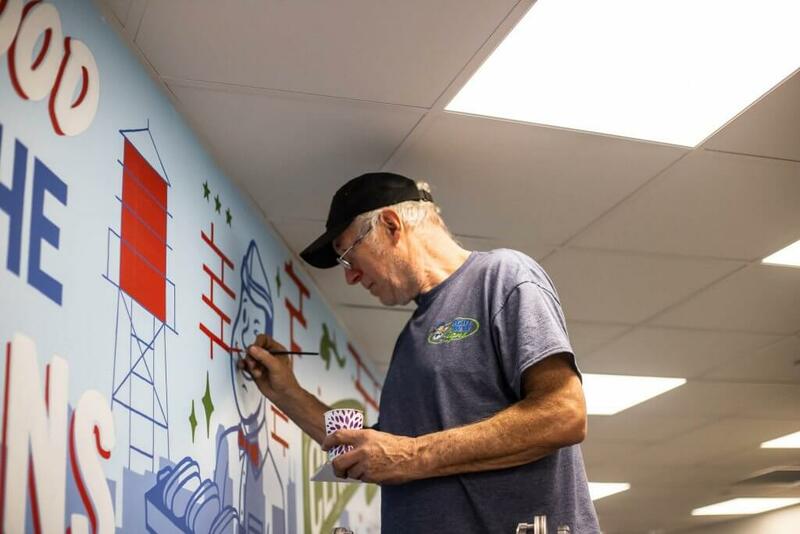 Ches Perry of Right Way Signs of Chicago underway on a custom mural for 7-Eleven in Wrigleyville. 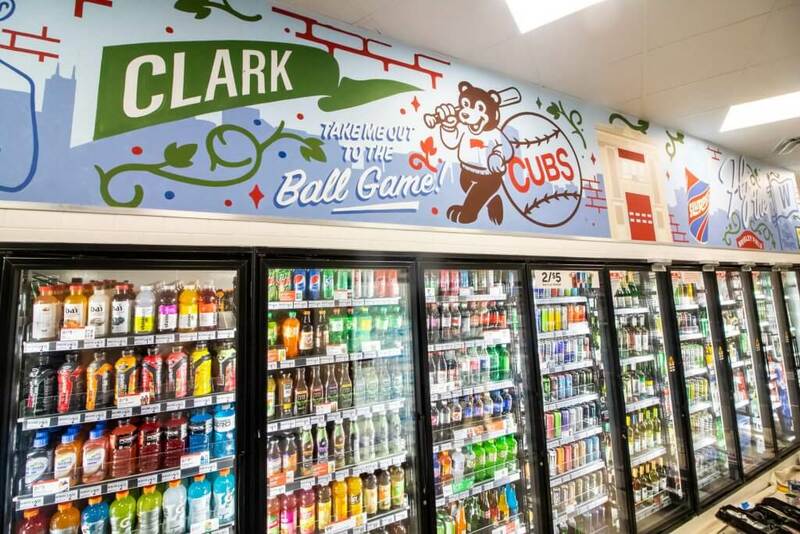 The design pays tribute to the neighborhood, the Chicago Cubs, baseball, 7-Eleven’s iconic brand and incorporates sign painting, illustrations and typography throughout the design. Work in progress at the Clark store. Custom designed “cub” just for this store. 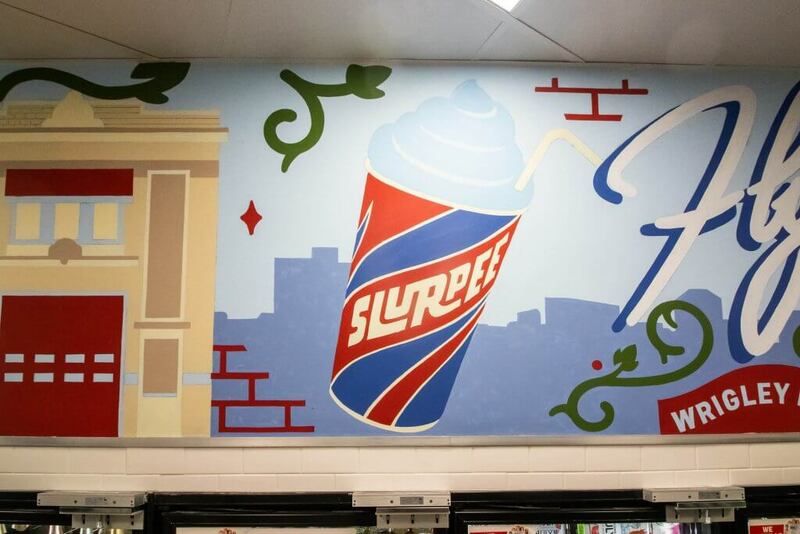 Hand painted Slurpee in Chicago Cubs inspired colors. Ches Perry has been painting signs for over 50 years. He is truly one of Chicago’s greatest and his speed and experience are unmatched. Right Way is lucky to have him.